Anna Breidenbach's Animal Communication workshop. (More to come next week!) This morning, as a kind of synchronicity, I found this poem in my e-mail It is one I had written a few months back and (to be honest) had even forgotten until I got this notice that it had been reprinted in an English literary journal. It is intended to be a kind of symbolic expression of how it feels to surrender completely to divine energies (Kundalini)--as if one sacrifices all that comprises the "ordinary self" in order to unite with what is higher, unknown, and mysterious. On the second day of The Animal Communication workshop, we were each given a picture of one of three dogs that lives in South Africa. These dogs are “friends” of Anna’s and they are very willing participants in her work with training human beings in how to communicate with them. They help her out all of the time with her workshops. Each dog has some serious medical issues. Our task was to find out what they were. There were about eight others (out of 26) in the workshop who had the same picture as I did. To find the dog’s medical issues we were taught a technique called the body scan. A body scan is a technique whereby the dog agrees to superimpose his body’s ailments onto the body of the person receiving the communication. The person then scans his or her entire body from head to toe to feel what the dog is feeling. I was given a picture of Sarel, a cute little Yorkshire terrier. I first asked Sarel’s permission to do the body scan and then I started by feeling into my head to see if any sort of sensation surfaced. I continued down through my neck, shoulders, hands, back, abdomen, hips, legs, and feet to see where some pain or discomfort might pop up. Might I add that I was so filled with self doubt at this point that to say I was shaky in my attempt was an understatement. I mean, come on. Getting a reading from a dog who lives a massive continent away and from a little picture?? Really? Nonetheless, I was at this workshop to give it my all so ever onward I went. We always start any communication with the six principals in mind that I outlined in the last posting. Then we do these three steps: 1. Close our eyes, relax and breathe deeply. 2. Set the intention. 3. 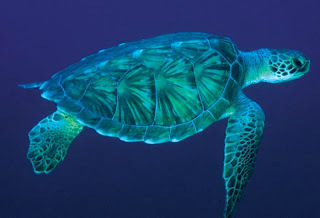 Ask permission to connect and then begin when the animal gives us a green light. After the three steps, I started feeling into my head. Hmmm… didn’t seem like anything was happening in the old noggin. Ok, down to the neck. Yikes, I felt a little pull on the right side of my Adam’s apple. Was it for real or was I making it up? Only Anna’s feedback later would verify my reading. Next, into the shoulders. Oh dear, I sensed a tightness on the muscle to the left of my right shoulder blade. Dang, I often feel tight there myself so maybe its just my own nagging muscle tension saying howdy. Oh well, we’ll know soon enough. Down I go through the rest of my body but feel nothing else of note. Time’s up and its Anna’s turn to tell us about our dog. The first thing she said about Sarel was that he had paralysis of his hips and hind legs. My heart sank. Clearly I was a failure at animal communication. Then Anna further stated that he also has a non cancerous tumor in his neck. OMG, a tumor in his neck! I was jubilant for sensing Sarel’s benign growth. Anna continued by saying that he has wheels for hind legs and his little front legs have to work so hard for him to get around that his shoulders often hurt. Holy Mary mother of God, the old girl might have a little ability here. Interestingly, about three people in my group reported feeling a tingling and/or numbness in their legs when they did the body scan. Also of note was that a dog that another group got for the body scan had a lame right back leg from being caught in a barbed-wire fence. A number of people got a dull/lifeless feeling in their right leg and one woman not only got the numb feeling but also said she got a message about the leg being caught in a trap of some sort. I swear I am not making this up. Though I had a bit of success with this activity, I still was filled with doubt. Was it a fluke that I felt something in my neck and shoulder? My skeptical mind was still nagging me. Stay tuned for part four and communicating with an animal whose picture we were all asked to bring with us. I had brought a picture of Thriller, the black cat that belongs to the roommate I had in San Francisco last year. During the afternoon of the first day of The Animal Communicator course, Anna gave us each a picture of an animal that she handed out from a deck of animal cards. I was given a picture of an otter. Someone next to me had an owl, another had bees. 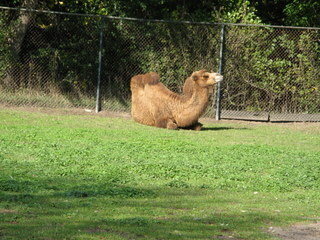 We were to close our eyes and imagine ourselves in the body of that animal. 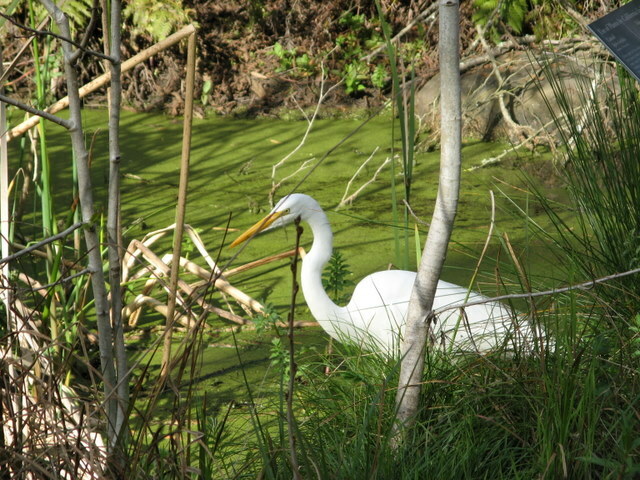 We were to look out of its eyes, smell as it would smell, hear what it would hear, swim, run, fly etc. as our animal would. When I got into otter mode, I found myself on a rock on the banks of the Findhorn River and dang if I didn’t smell that river and the mud on its banks. My sense of smell felt so acute. I also thought about fish and sensed that there were some hovering not far away in a cove near the river bank. I thought about my long whiskers and tried to sense the world around me with them. Later when we chatted with another participant about our experience, the woman next to me said that as a bee, all she could see was multi-colored flowers, tons of flowers and the rest of the world was gray. Nothing else mattered but color and anything not a flower was just meaningless, dull background. This was a most interesting activity and it has stayed with me for weeks. Now when I see an animal, I imagine how it must be to exist in that body. Birds especially intrigue me —- their soaring, their singing. Humidity and wind must mean a lot to them. Another activity Anna had us do was to send a telepathic communication to a person we had partnered with. I was with Eliana from Italy and our first task was for her to send a shade of the color blue to me, any shade she wanted. We were to close our eyes and Eliana was to concentrate on this shade while I was to just sit there and receive. I got a soft blue and what do ya know, I nailed what she had sent. Next I had to send her a shade of brown so I thought real hard about coffee, both beans and a cup of black joe. This attempt was a bust. Eliana saw a light brown like the color of pine wood. So much for the brown test. Next, we had to send each other an image of something that would be found in the kitchen. I sent her a fork and wonder of wonders, she got it. She sent me a cup and all I saw in my mind’s eye was a sphere. Dang. We connected on two of our four tasks which maybe isn’t too bad but we’d have to do this many more times to get some statistical significance. This was an interesting activity and one I would like to try with friends to see if one might become more adept at this sort of telepathy with practice. At the close of the first day’s session, Anna showed “The Animal Communicator”, the documentary made about her and it was a treat for me to see it again. It is supposed to be available for purchase on a South African website but I couldn’t find it there. I have an email in to the site to see about it and I hope to have the DVD waiting for me in SF by the time I get back. The DVD is only made for region two of the world which is not the US. Anna said it would play on any laptop but alas, not on a North American DVD player. 1. Openness - Don’t let your knowledge or your thinking get in the way. This is not a brain-oriented process. Communicate from an open heart filled with unconditional love for the animal. 2. Respect - Respect the animal to your fullest reaches. The animal has a right to choose whether or not it wants to communicate and if it does, it doesn’t have to do something you suggest or want. For example, you might suggest it stop biting the mailman but it might choose not to do it. You can tell it what the consequences are to biting people but it is the animal’s choice as to whether it wants to do it. Anna once worked with a young dog who had cancer and she asked it if it wanted to go through treatment for the disease. It said no, it would prefer to die so its owners declined medical intervention and it died within a few months. Likewise an older dog with cancer that she worked with said it wanted treatment and it lived on for quite a while after the treatment. More about animals and death in the next installment. 3. Presence - This is a way of honoring the animal. Animals live in the moment and humans usually do not. The more present and in the moment that we can be, the better we will be at communicating. Anna mentioned a time when she was out in the bush and she came upon a black rhino and its calf. She stayed fully present, looked it in the eye and communicated that she was not to be feared and that she meant no harm. The rhino and baby turned around and walked away. 5. Empathy vs sympathy - Empathy works sympathy doesn’t. Acknowledge your animal as the amazing creature it is. Diablo, the black leopard that Anna “saved” in “The Animal Communicator” film, got tons of sympathy for the abuse it had suffered at a Belgian zoo. Sympathy only angered him further. 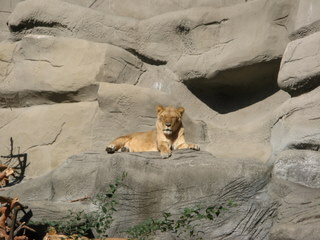 Once Anna and its owners acknowledged its beauty, strength and power, it relaxed and came out of its night cage to explore a vast enclosure provided for it in a South African big cat reserve. 6. Compassion - It is important to feel with the animal rather than having an emotional reaction of our own. Feel the animal’s feelings and don’t superimpose ours onto the animal’s. We might feel as though it is wrong to bite the mailman but as far as a dog might be concerned, the guy has it coming. We must respect that, yet if the dog is going to be euthanized for being too aggressive, we can explain that and even then allow the dog make a choice. So those are the basics. Stay tuned for the test cases we were all given on day three for our practice in communicating with animals. Recently I received the following from the friend of a friend, who (the latter) went to the workshop on animal communication described below. It is my belief that all things pertaining to energy are related, whether human, animal, or plant. Perhaps as we learn more about our fellow inhabitants of this planet, we will also understand more about ourselves and our place in the world. Last weekend I participated in Anna Breytenbach’s three-day workshop on Animal Communication. 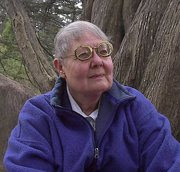 A year ago when I was at Findhorn, I saw a documentary that was done about her work with animals. I wrote about it in my blog under the title, “I Am Not Making This Up.” The most profound section in the film was her communication with a black leopard. After Anna communicated with the leopard, its caretaker was sobbing at the sight of the transformation Anna’s interaction had on this amazing animal. In the film she said she could teach anyone to do this, so I thought I’d give it a try. BTW, she will be teaching a five-day animal tracking course in Santa Cruz this November and I plan to attend. First let me say that Anna has a profoundly calm demeanor and her eyes are hypnotically beautiful. She is from South Africa, worked in Silicon Valley for a bit and while living in California, got connected with John Young, a man who can track animals through sensing them. While on a tracking expedition with him, her gift emerged and her Silicon Vally IT days came to a close. 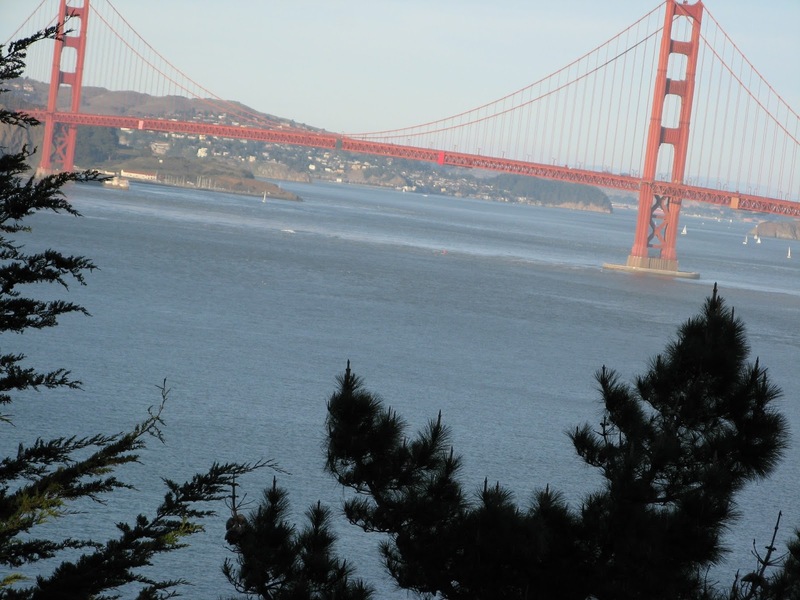 She also was trained at the Assisi Institute in San Francisco, a world renowned animal training center. Check out their website. Anna said that this communication with animals takes place at what physicists would call the quantum level. We are all made of quanta. Quanta come together to form atoms which form molecules which form a candle or a horse or you. Biofeedback works on a quantum level. It is a deep level of knowing that Anna says we can all reach to do this this communication. Distance from the animal does not matter. In our group we “communicated” with three dogs that live in South Africa. She also said that we tune into the animal in a manner similar to tuning into a frequency to find a radio station. She stressed that our intention to tune in is important and it is a powerful part of the process. Quieting the mind (as we do in meditation) is another part of reaching the quantum state. 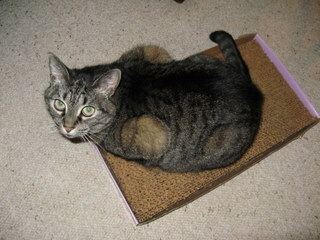 In my next blog I will write about the six principals she taught us that are the keys to animal communication. Stay tuned. As I have noted many times, my times of extreme bliss tend to be followed by an equally extreme period of pain and discomfort (for me, problems of digestion and gut). I have often wondered why this connection exists--am I doing something wrong? Am I not prepared to sustain such high energy? Do I have constrictions in my body which block the free flow of energy? Your post-bliss gut distress is, I think, similar to what I often experience in terms of strong emotion causing a Lyme setback. My Lyme doc says it is very common. It can be joy, fear, anger, elation, whatever. He told me a story about a woman who was in remission until one night her son cried out in his sleep and she popped up out of bed and rushed to see if he was OK and the next day she was incapacitated with Lyme symptoms. He said the sympathetic nervous system gets overwhelmed and somehow that gives the infections the upper hand. I try to be very careful about maintaining an even keel. I rarely succeed. For me, it was a novel idea that too much bliss could itself be the source of pain, but seemingly this can be the case. and thereby avoid its opposite. sympathetic nervous system in overload produces blocked energy. India. Among other things, passages in these early texts describe what appears to be warfare between the gods flying in vimanas, as well as the ravaging of earth from above by atomic bombs. "The Pushpaka chariot that resembles the Sun and belongs to my brother was brought by the powerful Ravana; that aerial and excellent car going everywhere at will .... that car resembling a bright cloud in the sky ... and the King [Rama] got in, and the excellent car at the command of the Raghira, rose up into the higher atmosphere.'" "Pushpaka" is Sanskrit for "flowery". It is the first flying vimana mentioned in Hindu mythology (as distinct from gods' flying horse-drawn chariots). It is also called Pushpaka Vimana. The Mahabharata is a veritable gold mine of information relating to conflicts between gods who are said to have settled their differences apparently using weapons as lethal as those we have now. Apart from 'blazing missiles', the poem records the use of other deadly weapons. 'Indra's Dart' (Indravajra) operated via a circular 'reflector'. When switched on, it produced a 'shaft of light' which, when focused on any target, immediately 'consumed it with its power'. The Mahabharata also tells of the awesome destructiveness of the war: "... (the weapon was) a single projectile charged with all the power of the Universe. An incandescent column of smoke and flame as bright as the thousand suns rose in all its splendor... An iron thunderbolt, a gigantic messenger of death, which reduced to ashes the entire race of the Vrishnis and the Andhakas.... the corpses were so burned as to be unrecognizable. The hair and nails fell out; pottery broke without apparent cause, and the birds turned white.... after a few hours all foodstuffs were infected.... to escape from this fire, the soldiers threw themselves in streams to wash themselves and their equipment..." Some say that the Mahabharata is describing an atomic war. References like this one are not isolated; but battles, using a fantastic array of weapons and aerial vehicles are common in all the epic Indian books. One even describes a Vimana-Vailix battle on the Moon! The above section very accurately describes what an atomic explosion would look like and the effects of the radioactivity on the population. Jumping into water is the only respite. "Strong and durable must the body of the Vimana be made, like a great flying bird of light material. Inside one must put the mercury engine with its iron heating apparatus underneath. By means of the power latent in the mercury which sets the driving whirlwind in motion, a man sitting inside may travel a great distance in the sky. The movements of the Vimana are such that it can vertically ascend, vertically descend, move slanting forwards and backwards. With the help of the machines human beings can fly in the air and heavenly beings can come down to earth. For many years, I have, like others, followed the news concerning supposed alien visitations to earth, sightings in the sky, and evidence of visitations in the past, including stone henge as well as other seemingly inexplicable sites. I more or less keep an open mind on this topic, but I am particularly interested in the physical evidence inscribed as pictographs (rock art) over the world. Often T. V. programs mention these, but only allow the images to be seen for a few seconds. The image above is one I have been fascinated with for a long time. It does, indeed, seem to be a picture of a person in a modern space suit, and there are others similar to this one in other representations. Did they come here? Did they build those imposing monuments which apparently were well beyond the technical capabilities of the human race at that time? 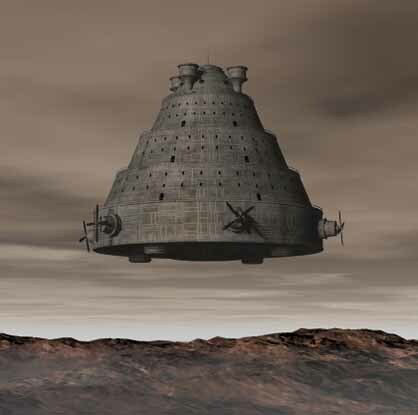 Are those craft seen both from earth and from the vantage of outer space actually powered by advanced societies from elsewhere in the universe? As our "spiritual energies" (expressed as feeling states within, that which is called bliss) become more refined (higher in tone, more subtle in texture), we become even more susceptible to "unbalancing." Things which might not have affected us one way or another in the past, now can throw us off balance and we may in fact experience these "energetic assaults" as physical symptoms or pain. We may think, "I have a stomach ache" or "my eyes hurt." And indeed they do. But just as our "energies" are now more delicate, the situations that can affect us are also more subtle. lives. To turn base metal into gold, the material must be heated again and again, melted and remelted, each step bringing us into higher alignment with those powers which are directing the process, toward an end we cannot fully see or comprehend, but which we are inwardly convinced is indeed our true path. Indeed, this process would be much easier if we lived in caves or monasteries, safe havens from the tumult of the world. There we could carefully restrict our diets, spend each day in constant spiritual practice, and perfect our relationship with the Ultimate. But we do not exist in such circumstances. We are constantly buffeted and tossed about by various forces of daily life. We are challenged by personal loss or societal upheavals. We or our friends may suffer massive health problems, or experience financial ruin. The world appears to be disintegrating on all levels. And, furthermore, once we reach a certain level of energetic subtlety, even the slightest "stressor," whether good or bad, can throw us into pain and confusion. Last night I experienced much physical discomfort (for me, often stomach and gut problems). Yet this morning, even as I made ready to step into the shower, I felt the familiar energies stir, and once more, just by slowly and gently rotating my hips, I experienced lovely (and unexpected) bliss. For me, this is a moment of divine union, proof that the "higher realms" exist and wish to come to us in love. the true evolution of consciousness. Some call this the "divinizing of matter," bringing heaven to earth and humanity closer to god. And, it goes without saying, that whatever our personal experiences may be, we must also focus on curing the human and global ailments in whatever way we are best suited for. We are now approaching--indeed, may have already arrived--at a final hour. It behooves us to take notice and act. the "old" attitudes with the "new." Michael hands me a small black book. I wake up and feel the resistance. Oh, no, not the Bible! Friday night I attended the opening presentation of Damanhur, the spiritual community I posted about earlier. The talk lived up to expectations. This remarkable group has, among other things, recorded the “conversation” of living plants and transformed these energies into tones which together become “the music of plants.” These pieces are quite wonderful and will indeed awaken the inner energies of the listeners—at least I felt sweet flows as I listened to three beautiful plants as they "sang." In Damanhur, research of Music of the Plants came about from the desire to re-establish a balanced relationship with the environment and nature. 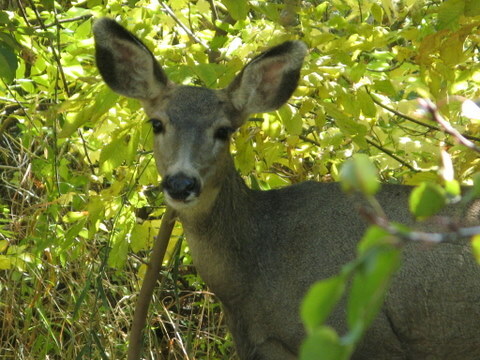 For example, as part of the spiritual path, Damanhurians chose an animal and plant name that we identify with in order to maintain awareness of this relationship and the symbiosis we have with animals and plants. The Music of the Plants has been researched since as early as 1976. Damanhurian researchers had created equipment capable of capturing electromagnetic changes on the surface of leaves and roots and transforming them into sounds. The desire for a profound contact with nature is also the inspiration for the ‘Plant Concerts’, where the musicians perform to the accompaniment of melodies created by the trees. As early as 1976, Damanhurian researchers had created equipment capable of capturing electromagnetic changes on the surface of leaves and roots and transforming them into sounds.The trees learn to control their electrical responses, as if they are aware of the music they are creating. Research continues on creating a model of this device easily available to the public so that this profound experience of communication with the plant world can be shared with whoever desires it. If you would like more information about the existing model of the device for the Music of the Plants, contact us here. Concerts of Tree Music are held regularly in Damanhur and have been presented at festivals in Europe, India, the United States and Canada. Several of these experiences have already been made into collections on the musical CDs produced which can be purchased via CDBaby.com (click here to purchase), iTunes (Click here to purchase), Amazon, Google Play, eMusic, Rhapsody, Spotify, Deezer, Last.fm, Nokia, and many more. as listening to the plants live. I am also planning to attend the workshop on August 23 at Caritas (Boulder) focusing on their unusual healing techniques. Here is a link for this workshop for those wanting (and able) to attend. I understand that Damanhur representatives plan to visit other parts of the country in future, so perhaps they will show up where you live. Peggy Wrenn is one of my favorite friends and also one of my favorite poets. Her poems reflect the gentleness of her spirit and the swift play of her imagination. loves warm spring rain and long-angled rays of light? I’m writing to express my unblinking horror and deep regret that men from earth bombed you. Your pristine white light is the beacon for my soul, the balm for my spirit when night terrors strike. Reading Goodnight Moon to my son and worshipping your goddess energy has taught me about peace, forgiveness, and silvery light that cleanses my lungs and renews my spirit. I love you so much, Moon, I can’t believe beings of my species were so cruel, ignorant and destructive. So I’m going to take a stand for you Mother Moon, today. I’m going to NASA to sit naked at their entrance until they remember their manners. 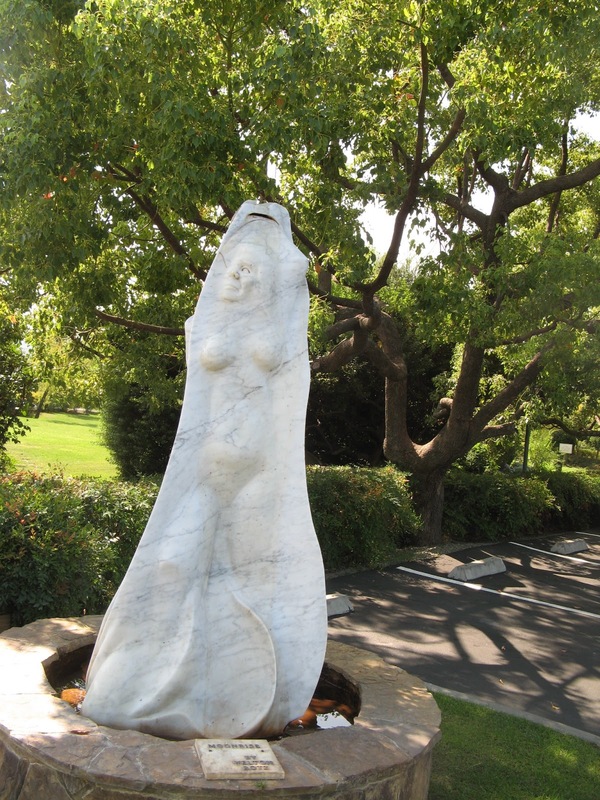 I’m going to squat there with 1000 other women of all colors and give birth to little earths and little moons, so new and fragile and fresh from the womb that they glisten like jewels. 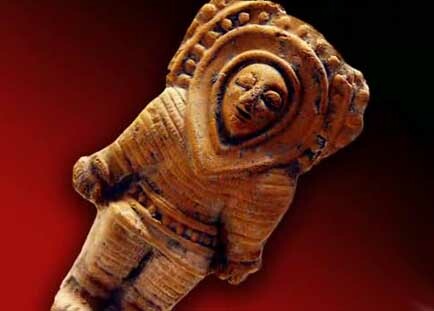 We will carry these beings into the offices of NASA and place one in every man’s hands. They will weep with regret and shame and gladly change their ways. please RSVP so that we can arrange seating. One day attendance is possible as space allows. Michael’s work is best described as a visceral, improvisational art form - one that is rooted in an intrinsic, divine reality yet constantly invites people into new creative and relational edges, where unexpected and life-changing conversations often take place about embodying true love and sharing one’s gifts. For information and registration, contact Barbara at (415) 333-9515, or thepaintingstudio@sbcglobal.net. Further details of these events may be found on the website. This site even includes some replays of past programs, including one on the date I watched the original and perhaps even some later ones. information comes from India and the East, where reincarnation has been widely accepted for many years. It was interesting that he found that a great many of these children had also suffered violent death prior to their present incarnation. I do not think that this means that everyone who has had a past life underwent such violence at death--rather that those who did so were most likely to be the ones who as young children remembered their earlier incarnations. I think that most of us get inklings from time to time of past existences--I have had a couple of such memories and they felt quite accurate. One of these included a memory of dying when I was a monk, but it was a very gentle, easy departure. Another was of going to the Royal Procession along the Thames in early England for which Handel had composed the Water Music (I was a farmer's wife--we and our children traveled to London in a flat bed wagon for the occasion, which was in fact about the most important event of our lives). Some believe that it is best not to remember our past lives, for such memories might interfere in some way with our present existence. They think it is best to focus on the present, not the past. They feel that too many memories might make us confused. I think that perhaps it is best to focus on the one or two which are most meaningful for our current incarnation. Once again, I have confirmed that the bliss flows do not stop, no matter how long you have practiced your Kundalini movements (my moves are very minimal, very subtle these days). But neither does the pain that often is the aftermath of "too much joy." That evening I attended a concert. The music relied heavily on clashing cymbals and thundering drums--just the kind of sound I love. My body seemed to function as a sounding board, experiencing each note as a delightful bliss sensation within. How splendid, I thought. Just the way things should be. not again--not the same old pattern--bliss followed by pain. As always, I wondered why? Why after so long was ecstasy still accompanied by agony? And then a thought came to me--often when others ask me why they are having negative symptoms with their Kundalini experience, I reply that their systems are not yet ready to handle this higher level of energy, and that only with time will their symptoms abate. Now I too must consider that the same holds for me--sometimes I still experience more energy that I can "safely" handle without an accompanying reaction of pain. As for me, I would not forego the pleasure in order to avoid the discomfort. I am still convinced that those of us undergoing such experiences contribute to the overall raising of vibrations for our species as we together move into a higher evolutionary state. I have tried with little success to copy more complete information about Damanhur as it appears on their home page and on the Caritas site--but I do recommend that you go to these sites and check it out. 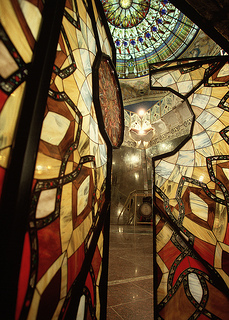 Damanhur is one of the most fascinating projects of our time. It is essentially a collection of folks who operate in norther Italy to build a sustainable, ecologically sound, mystical community. Damanhur has been named by the United Nations as a model for future social organization. Every year thousands of people visit Damanhur to try out the social model, study the philosophy and to meditate in the Temples of Humankind, that great underground construction excavated by hand by the citizens of Damanhur and which many have called the ‘Eighth wonder of the world’. The Temple Halls are an underground work of art, a subterranean cathedral created entirely by hand and dedicated to the divine nature of humanity. It is a great three dimensional book which recounts the history of Humankind through all the art forms, a path of re-awakening to the Divine inside and outside of ourselves. You can even hear some of this music on YouTube. A Damanhur representative will speak at the Caritas Center in Boulder from 7-9 on Friday, August 16. A healing demonstration and workshop will be presented (also at Caritas) from 10-5 on Friday, August 23. I plan to attend both, for I consider this a rare opportunity to learn more about this unique community of souls. Yesterday evening, I watching a T. V. program which included a "scientific" experiment to test the level of oxytocin before and after a "trust" exercise. In this example, the researcher jumped from a plane without a parachute but attached to the instructor, who did wear one. The purpose was to determine if such "trust" experiences helped to raise the level of the oxytocin hormones in the body. The result was a resounding "yes." 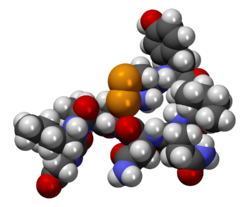 Though the program looked at this chemical in terms of its connection to trust, it did not continue to examine how oxytocin also operates to help us be more human in terms of our willingness to help others, as well as increasing our love for other people, or even enhancing the pleasure that nursing mothers often experience while feeding their offspring. All of these activities are held to be accompanied by higher levels of the oxytocin molecules within. In general, I do not care for theories which explain human behavior or attitudes as "nothing but" the operation of chemicals or hormones within the body. But in this case, I began to wonder if oxytocin might also be involved in the "love state" so often produced during spiritual transformation, including Kundalini awakening itself. Many of us have experienced such states of consciousness when anyone and everything becomes an object of pure, unquestioning love, and we feel that the universe itself is our own cosmic lover. And I wonder if it is not that the chemical produces the effect, but the other way around--that our loving acceptance of the world around produces the increase of the hormone. Perhaps even the saints, through their loving acceptance of all they encounter, produce higher levels of this amazing substance. Either way, it causes one to wonder what the world might be like with more oxytocin in the brains of all. Teilhard de Chardin wrote: "Some day, after we have mastered the winds, the waves, the tides and gravity,... we shall harness the energies of love. Then, for the second time in the history of the world, man will have discovered fire." "The great mystical treasures of all the Christian traditions have been largely ignored for centuries, even in the monastic institutions that might have kept them alive. The majority of westerners interested in spiritual transformation and aware of its necessity know very little about the Christian mystics; they know more about the Hindu or Sufi or Buddhist mystical traditions than about the one that is the hidden and glorious secret of their own civilization. Many more have read the Bhagavad Gita or Rumi than have read Ruysbroeck or Jacopone da Todi or St. John of the Cross; many more have practiced vipassana or bhakti yoga than have attempted the spiritual exercises of Ignatius of Loyola or than have prayed the Jesus prayer with Symeon the New Theologian and Nicephorus the Solitary." It is my belief that both of these excerpts apply directly to the experience of Kundalini. 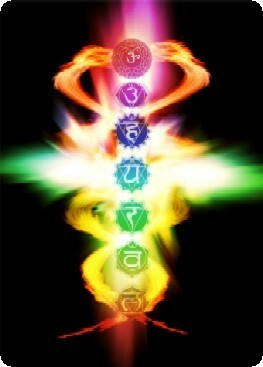 Kundalini is above all "the energies of love." One who is in the throes of this powerful force is someone in love--with the Creator, with one's fellow humans, and with oneself as a participant in this glorious phenomenon. And it is also my belief that if we look closely at the mystics of all the many traditions, East and West, we will discover that their experiences are powered by Kundalini itself (love force of creation). Indeed, one who experiences Kundalini in its most splendid form is by definition a "mystic"--that is, someone who is in love with all creation as well as its Creator. 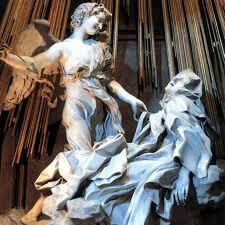 Consider Bernini's great sculpture of St. Teresa of Avila--one of the greatest mystics of all time. She is clearly in a state of "rapture" (ecstasy)--her heart is opened by the divine lover (the angel with his spear) and she reacts like any beloved in the arms of her loved one. For many years I have been, like many others, fascinated by the notion of reincarnation, the return of a former self into a new body and a new identity. For a very long time, this topic was considered quite esoteric and given little credence by the mainstream, at least in the Western hemisphere. Most of the stories (that I encountered) dealt with children born in India or nearby countries where there is greater acceptance of reincarnation--sometimes these children were taken to visit their "former families" and they could often identify their parents or other family members by name, recognize their own former possessions, and such. Last night I watched a program on the Bio channel which presented several children in this country who apparently were reincarnations of those who had lived before. Their "former selves" had all died in sudden catastrophes in "recent" history. The group included one who recalled his death in the attack of 911, another who was one of the children killed in the Oklahoma City bombing a few years ago, one who had been a U. S. pilot during WWII fighting against the "great red sun" (the Japanese flag), one who had been a Russian partisan, and one, a former Hollywood movie director, who was crushed by a tractor in a farm accident. These children were all extremely young. They began at a very young age to draw images of their "past life" memories and to relive these traumatic experiences through nightmares and phobias. The child who had been killed in 911 drew two skyscrapers and became hysterical when he saw tall buildings. The former pilot drew images of planes, named the ship he was on (Natoma? ), and the kind of plane he flew (Corsair). One insisted that his mother was in fact his daughter--and when the family contacted his former "relatives," they discovered that indeed this person had had a daughter by that name. One child (the Russian partisan), presented with the word "No" on a flashcard, insisted on calling it "Nein," (German for "no"). None of these children had had any previous access to the material they related. They knew nothing of the events and situations that now haunted their minds and imaginations. The parents were confused as to why their children were behaving and speaking in this way. But in the end, they were convinced by the undeniable evidence that indeed, the ultimate source for their children's convictions was a past existence. They were also greatly concerned by the fact that often these memories produced nightmares and mental disturbances. Westerners have been loathe to accept the notion of "past lives," but the evidence is accumulating that reincarnation is indeed a reality. The fact that this program, with its compelling evidence, was presented on a mainstream station suggests that this subject is no longer merely an "esoteric" area, but one which is more and more accepted in the mainstream. Even when we do not recall the specifics of our past lives, we often get clues and hints through the things we are drawn to, and the way we live our present lives. I once seemed to remember a death in Tibet when I was a monk in a monastery. I was surrounded by my fellow monks chanting quietly as I went into and then out of consciousness. The experience was in no way traumatic, but rather a gentle drifting into a state of peace and quiet as I lost awareness of my surroundings and my identity. I believe that what reincarnates is not the former self as such, but rather the "subtle body," which is, in fact, the "energy body," and it is this essence which conveys the Kundalini body into the next incarnation. I believe this is why some have spontaneous awakenings with little prior preparation. 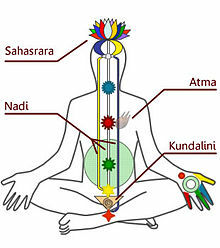 They bring with them into this world an energy body already highly developed in the area of Kundalini experience. And--sometimes the energy body from the past is more than the physical body of the present is equipped to deal with, and hence the difficulties that such unexpected arisings may produce as the practitioner struggles to incorporate the "new" (but old) energies into her present nervous system. This year it's become clear to me that part of the core of the Shift we're aiming to accelerate is to make the Christ energy within us into a lived reality -- whether we are Buddhist, Jewish, Hindu, Christian, or even agnostic. I use the term Christ, not to "choose sides" of one religion over another, but to point to a deeper truth beyond religion: namely that our Christ Nature is a non-sectarian description of a higher potential -- in the same way we might talk about Buddha Mind. For me, this Christ Nature has a specific quality -- a sacred marriage of masculine and feminine, transcendence and imminence, radiant cosmic love and palpable human presence. It's got a bit more fire, wildness and play to it than when I visualize Buddha Mind. It's a kind of a mastery of embodied human life that happens by downloading higher spiritual energies into daily acts of love. When we embody that mystical Christ energy within us, we don't end up on a serene mountaintop, but rather expressing the fusion of spirit and matter IN the marketplace. We become a socially-engaged evolutionary of change. However, to do this requires the integration of specific qualities, such as truly unconditional love, all-pervasive joy, deep humility -- and a kind of lightness of being. No one lives this full embodiment of the mystic Christ the way spiritual teacher Bill Bauman does: he's part sage, part businessman, part priest, part Leprechaun -- and part a whole lotta other things. On staff, he's a "favorite" behind the scenes because he truly integrates this spirit with all of his interactions. Bill has a remarkable ability to transmit his deep realization of his "Christ-ed" self to other people. On Wednesday night, we'll have the blessing to journey into our sacred depths with him in a free teleseminar called Embodying the Mystic Christ Within. Bill will be sharing some of the advanced teachings and practices that will be covered more expansively during his upcoming 7-month training -- all for free. He'll also be leading us in a meditation that will help you to explore your personal depths. You'll have a chance to learn some of the key foundations for embodying Christ consciousness when you join us on Wednesday -- as well as to simply savor the presence of this mischievous mystic who pours out a never-ending stream of love (and a fair dose of humor). "One of the truly remarkable aspects of the Andrew Harvey's Christ Path Advanced Intensive is that it also includes NINE additional teaching sessions from Andrew's primary spiritual mentor and inspiration, Father Bede Griffiths. This is the very first time that Andrew has decided to make available these incredibly rare and illuminated recordings to sincere students of the Christ Path, as they powerfully transmit the sublime wisdom of a real human being that was deeply engaged, and indeed enraptured, in the transfiguration process. Biographically, Father Bede Griffiths was a British-born Indian Benedictine monk who lived in ashrams in South India and became a leading thinker in the development of the dialogue between Christianity and the world's mystical traditions. Even after traveling the globe and meeting the most esteemed spiritual leaders and teachers of every tradition, Andrew still considers Father Bede Griffiths to be one of the most advanced, illuminated, and profound of all modern mystics - one of the few individuals that understood and underwent the incredible transformative journey of the authentic Christ Path. After listening to the first of Father Griffiths nine teachings session, we wholly agree. His expansive teachings contain precise transmissions of wisdom and direct revelations of the "Christing" process that was clearly underway in him. These 9 exclusive recordings from Father Griffith are so potent and complete that they could be their own separate training, but as a complement to the Christ Path 9-month Intensive they bring Andrew's profound teachings and practices to a new level. Here at The Shift Network we feel extremely blessed that Andrew has generously offered to include these never-before-heard recordings in his already outstanding advanced training. Please note that we will be officially closing course registration to the Christ Path next week, so if you are called to embark on what is sure to be one of the most profound and illuminating experiences of your life, we would love to have you join us. Enroll Now >> The Christ Path: Advanced Intensive (9-months)"
Many believe that Kundalini is the basis of all life--that it is the life force itself flowing through all creation and thus all sentient beings are motivated by its power. When one visits an aquarium such as the one in Monterey, California, one discovers this amazing energy packaged and on display in a myriad of forms and it is easy to be convinced that the theory is true. Thus one realizes that Kundalini is not restricted to humans at all, but is the basis of all life as it manifests itself on our planet. Recently, I spent two weeks in San Francisco, where I lived until three years ago. Among the many things I did there was to visit a special church, nominally a Lutheran church, but now renamed (informally) as the "She Church." This church is totally devoted to the divine feminine, represented by its "liturgy," services and overall focus. Men do attend, but the primary emphasis is on the feminine and the female.